WarbirdsNews recently held a conversation with Sean O’Brien, Director of Operations for the B-17 Alliance Group. 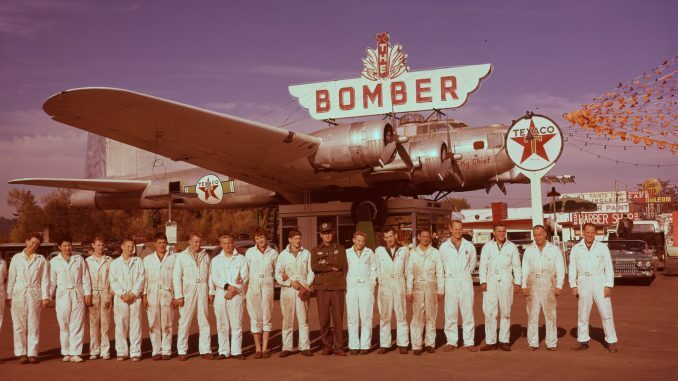 The organization, based in Aurora, Oregon is working to preserve the famous Gas Station Flying Fortress, B-17G 44-85790 known as “Lacey Lady”. The B-17 Alliance Foundation has set up a IndieGOGO campaing with the objective of raising US$30,000. Your contribution will directly support the SAFE “Landing” of this B-17G the “Lacey Lady”. 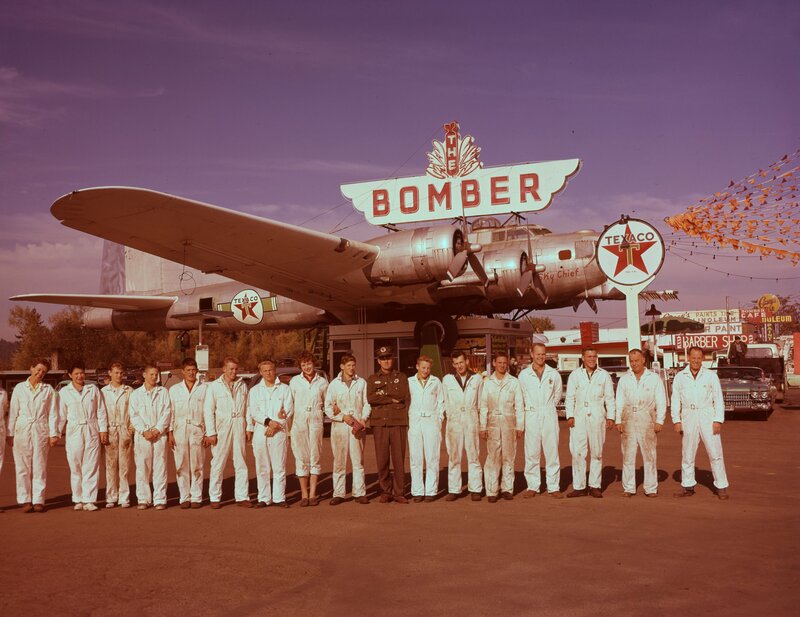 Originally saved by Art Lacey, three gen­erations of Lacey’s, now Scotts, and many volunteers are leading the quest to restore this rare artifact to flying condition while showcasing authentic World War Two artifacts, memorabilia, photos, a WWII aviation library and a retail store in the “Alliance Building”. The restoration team has already removed all four engines and transported them to a climate controlled hangar, lightening the Fort’s load by almost 12,000 lbs. The elevators and tail turret are currently under restoration. The restored nose section and ball turret are on exhibit in the B-17 Alliance Museum, awaiting the day when they can rejoin the fully airworthy “Lacey Lady”. As the team removes each component from the airframe, they take it indoors for protection and preservation. After the “Lacey Lady” is safely brought to the ground the restoration team will prepare for her continued preservation and transport the components to a secure hangar. This portion of the restoration is expected to cost $50,000. The team has been working at this for sixteen years already, but recently, volunteers have made a big difference and the project is moving forward with renewed energy. They need your support to keep the momentum going though. The safe “Landing” Budget $50,000. Prepare “landing” site for security and protection = $2,000. Professional aircraft mechanics/engineers = $5,000. Estimated Hanger rent for one year. $1200/month = $14,400. This is a 100 x 60 foot steel constructed building with work shop capabilities, below the market price. With the funds in the bank we won’t worry about losing the site. Basic Capital Campaign Materials & office supplies: = $3600. Awareness and outreach is crucial to the survival of the project. Transportation, safety and specialized labor costs = $10,000. Necessary parts & accessories for this portion of restoration: Parts are rare and expensive, currently we have been given buyers choice to secure needed items. The sooner we can purchase them the better. = $10,000. Assemble a team and materials for educational curriculum focusing on the aviation and historical components in relation to this phase of the restoration. Collaborations with skill centers & schools to promote vocational opportunities will require transportation and materials for students. Providing education is also a means for sustainability for the project. = $5,000.